ColourPop No Filter Natural Matte Foundation in Fair 05 & Fair 15. 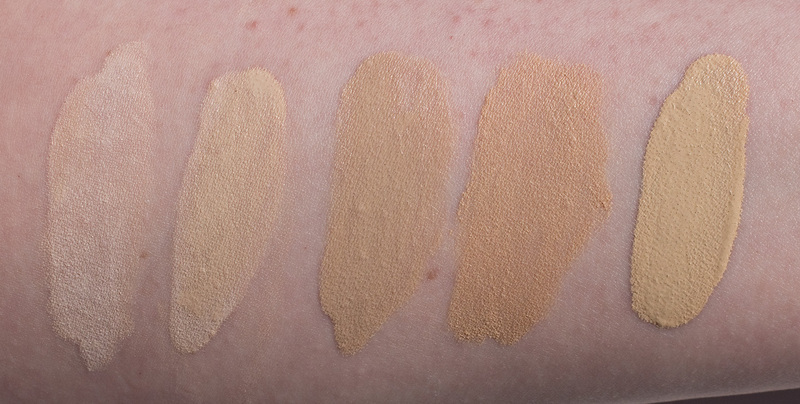 No Filter Concealer in Fair 00, Fair 02 & Fair 04. No Filter Loose Setting Powder in Translucent. And Medium Foundation Brush. 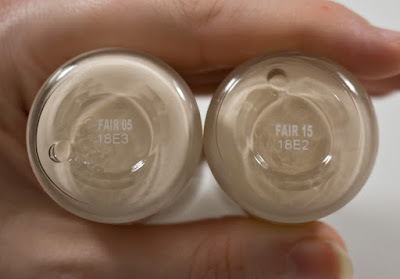 The ColourPop No Filter Natural Matte Foundation in Fair 05 & Fair 15 retails for $12US and for 25mL / 0.85 fl oz of product. The ColourPop No Filter Concealer in Fair 00, Fair 02 & Fair 04 retails for $6US and for 4.0g / 0.14oz of product. The ColourPop No Filter Loose Setting Powder in Translucent retails for $9US and for 8.5g / 0.30oz of product. 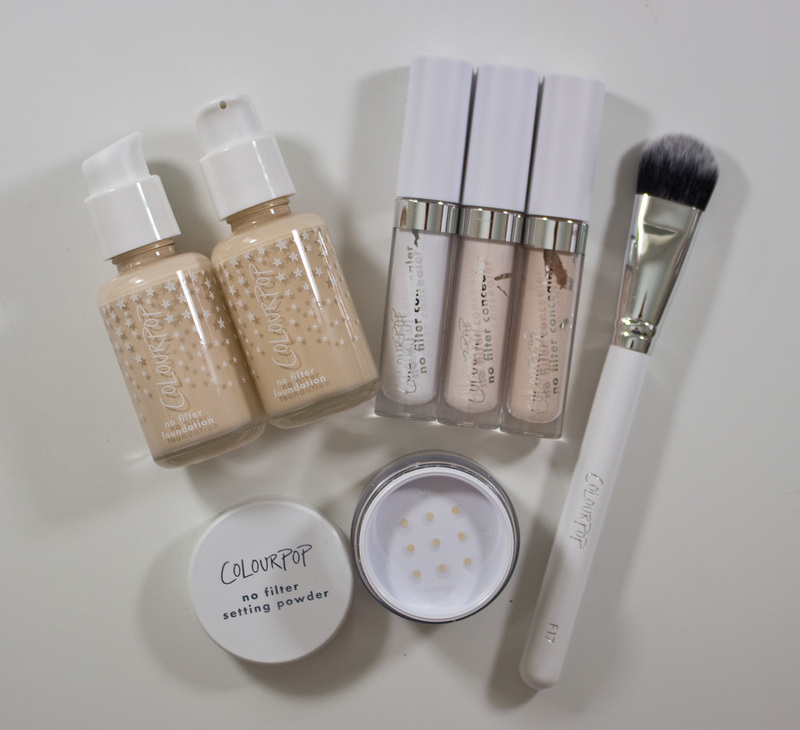 The ColourPop Medium Foundation Brush retails for Brush $8.00US for a synthetic fiber brush. 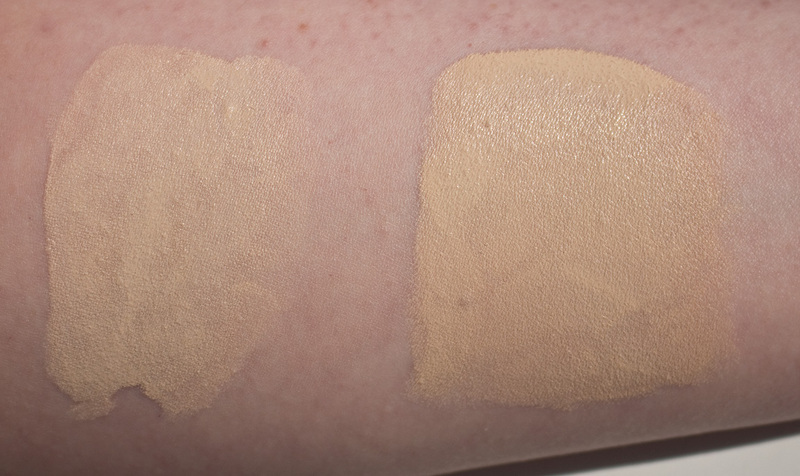 ColourPop No Filter Natural Matte Foundation in Fair 05 & Fair 15. 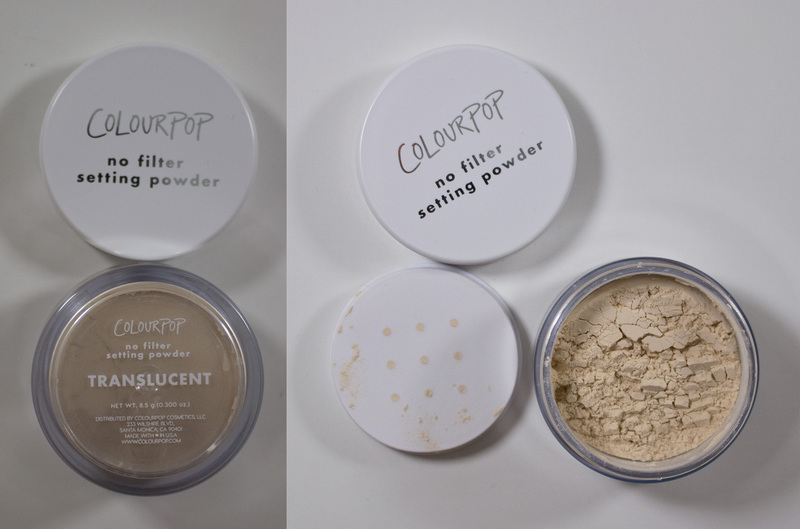 ColourPop No Filter Natural Matte Foundation in Fair 05 & Fair 15. Box are labels. ColourPop No Filter Natural Matte Foundation in Fair 05 & Fair 15. Box art. 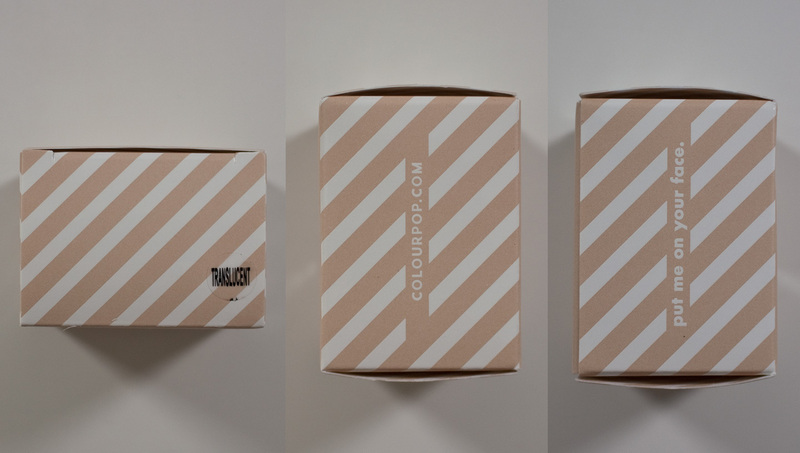 ColourPop No Filter Concealer in Fair 00, Fair 02 & Fair 04. 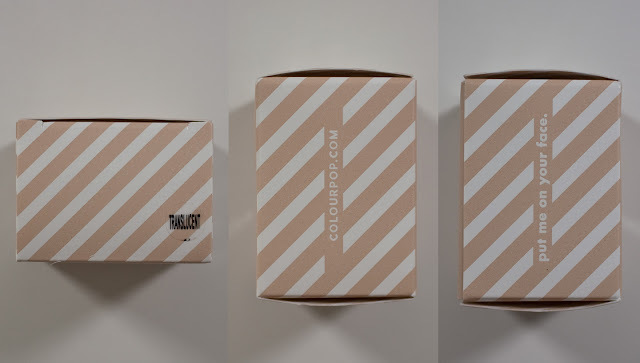 ColourPop No Filter Concealer in Fair 00, Fair 02 & Fair 04 tube labels. 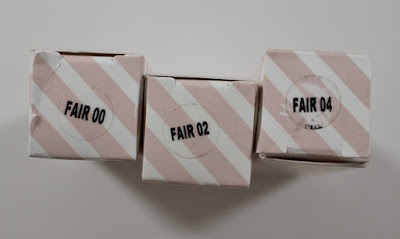 ColourPop No Filter Concealer in Fair 00, Fair 02 & Fair 04 box labels. 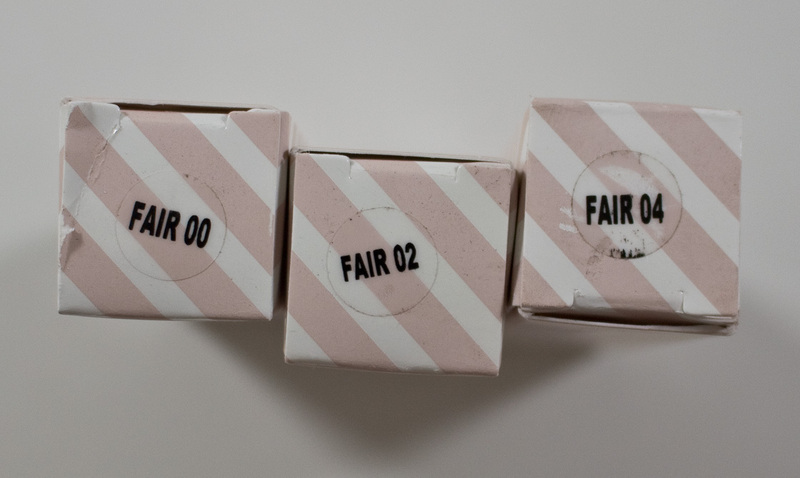 ColourPop No Filter Concealer in Fair 00, Fair 02 & Fair 04 box art. ColourPop No Filter Loose Setting Powder in Translucent box art. The ColourPop No Filter Natural Matte Foundation is almost full coverage formula foundation. 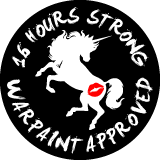 As it dries, it stays slightly tacky for 2-3 hours on the skin without powdering it. Coverage was good, it took out my redness and unevenness. My blemishes and freckles were covered as well but they still were peeking through. 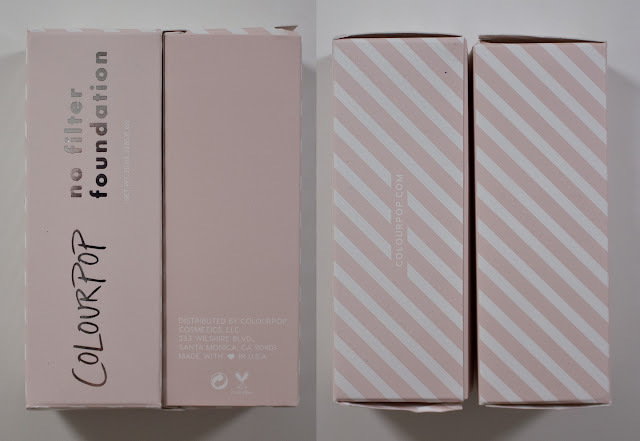 The foundation does seem to heighten texture slightly, I could see the skin texture emphasised where I would not usually see with other foundations on its own within the first hour of wear/applying it. This seems to be a universal property of the foundation as I do have dry to normal skin with an oilier nose. This foundation is so pigmented it doesn't have the blurring properties associated with other silicone based foundations that gives you the skin like glow. 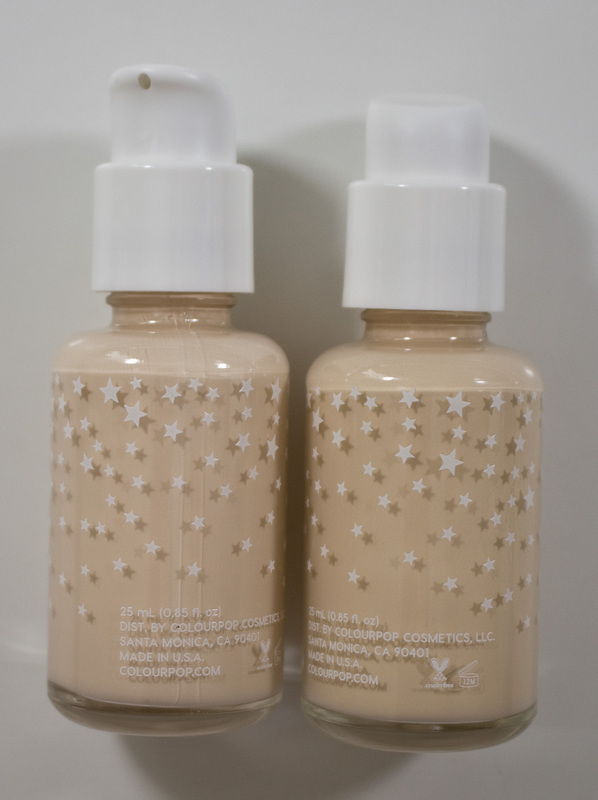 The foundation also dries down slightly darker than when it's first applied and can lighten again when you touch and remove the surface layer of the product on the skin before it dries down again (kind of trippy). But this is not oxidising the colour with the shades I got. 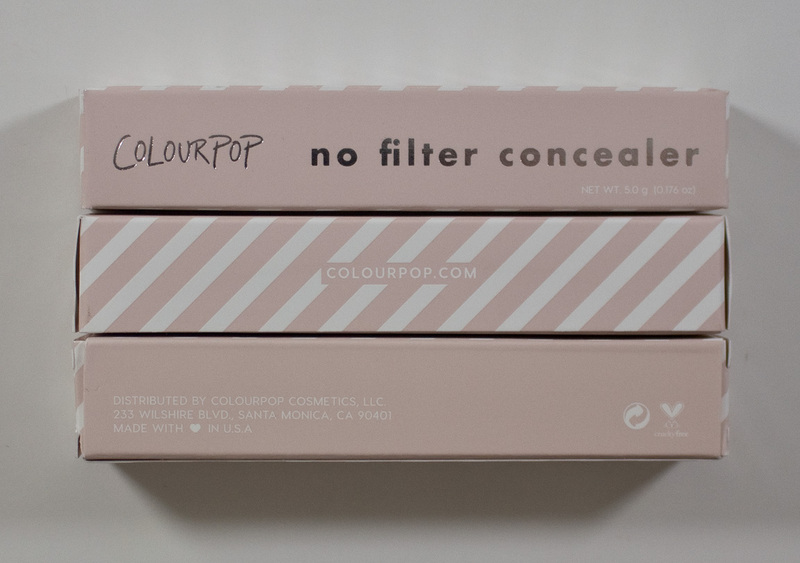 The ColourPop No Filter Concealer formula wise if full coverage with a drier formula. For me, it didn't perform well under my eyes on its own. It creased and look much drier after 3-4 hours, But it looks way better over a primer and foundation and had a longer skin like up too 8 hours. I think if you have normal to oily skin you will like this one but my skin is dry to normal with an oily nose it didn't work for me. 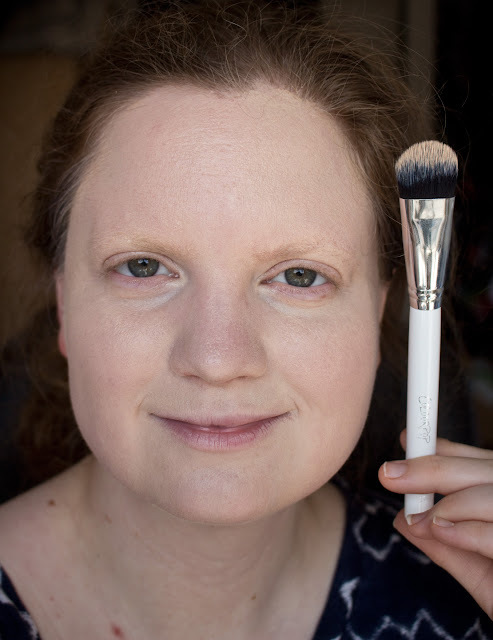 The ColourPop Medium Foundation Brush is a standard synthetic fiber brush that I actually like how it performed. This one is a wide filbert cut (round and tapered fibres). This one was dense enough to be able to bounce on this skin while applying foundation and smooth it out at the same time. 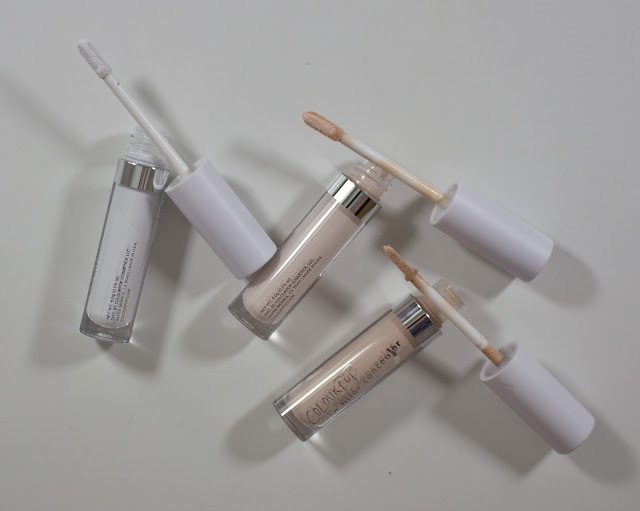 The No Filter Natural Matte Foundation istarts out a little watery at first that showed the brush stroke but once it starts to take up the brush wdid all the blending out just fine. 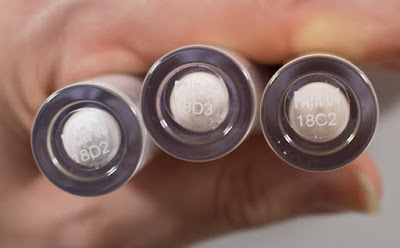 Fair 05 is a beige undertone very pale shade with a satin-matte finish. Fair 15 is a light warm peach shade with a satin-matte finish. Fair 00 is a true white with a matte finish. 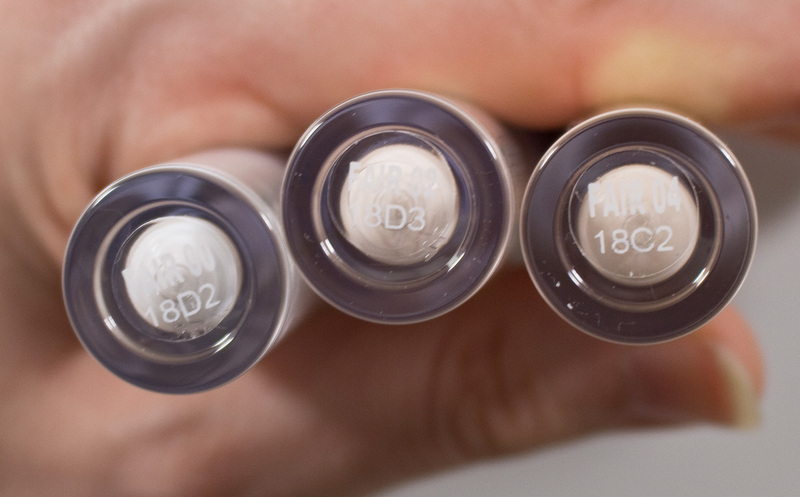 Fair 02 is a pale peach neutral with a matte finish. Fair 04 is a light peach with a matte finish. The ColourPop No Filter Loose Setting Powder in Translucent is a desaturate neutral with sheer coverage and a matte blurred finish. The No Filter Natural Matte Foundation I got a good 109 hours without a primer and lasted longer with a primer underneath. It did break down on the nose first but only slightly. The ColourPop No Filter Concealer I got 4 hours on its own but over the foundation actually lasted more than 10+ hours. The No Filter Natural Matte Foundation simple glass jar with a pump and no cap black cap. The pump has a twist lock setting so that you can travel with it without worrying about the product getting pumped out of it. 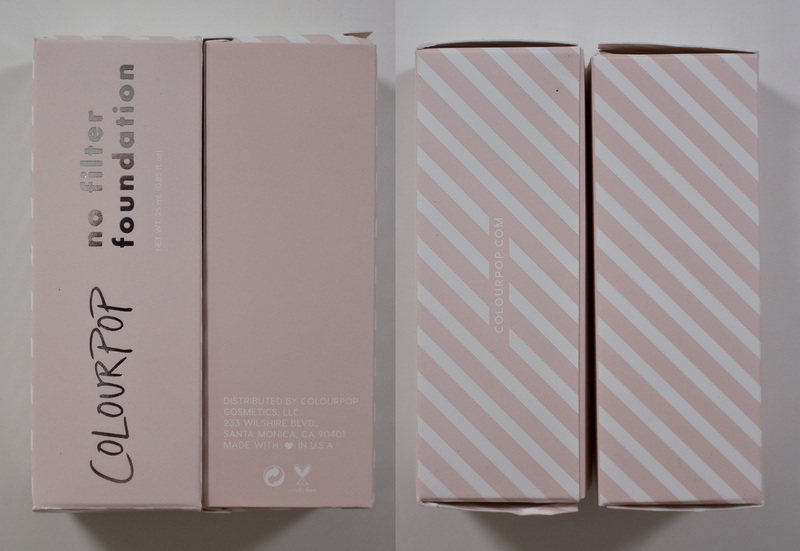 it's the same pump style as The Ordinary Foundations. The ColourPop No Filter Concealer is a basic clear plastic tube with a felted paddle applicator. 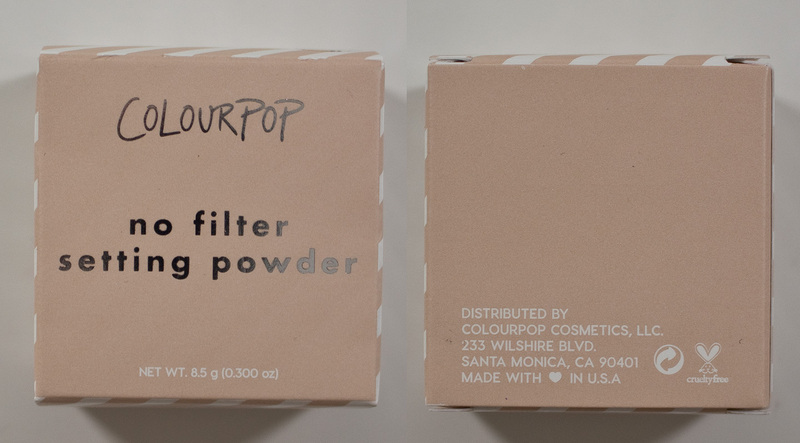 The ColourPop No Filter Loose Setting Powder is a clear basic plastic jar with a sifter and screw on lid. The ColourPop Medium Foundation Brush is a wood handle brush with cheaper metal ferrule and nice taper synthetic fibers for this brush. ColourPop No Filter Concealer in Fair 00, under my right eye. ColourPop No Filter Concealer in Fair 02, under my right eye. ColourPop No Filter Concealer in Fair 04, under my right eye. Daylight & Flash swatch: ColourPop No Filter Concealer in Fair 00, Fair 02 & Fair 04. ColourPop No Filter Natural Matte Foundation in Fair 05. ColourPop No Filter Natural Matte Foundation in Fair 15. Applied with finger & sponge on my right side of my face and with the ColourPop Medium Foundation Brush on my left side of my face. Daylight swatch: ColourPop No Filter Natural Matte Foundation in Fair 05 and Fair 15. 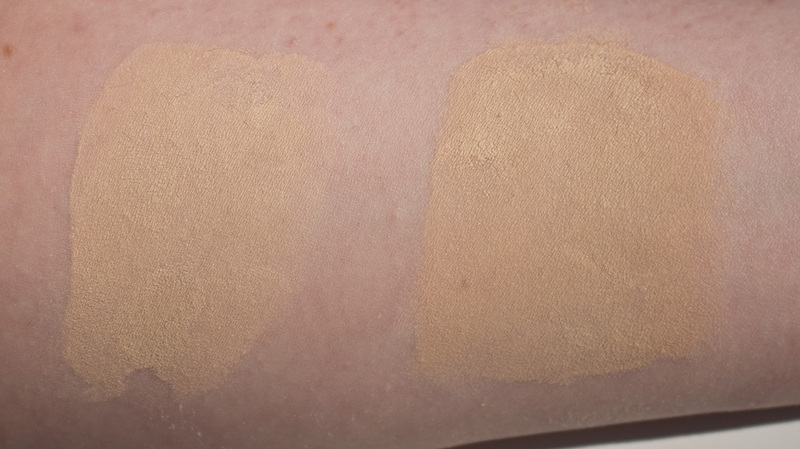 Flash swatch: ColourPop No Filter Natural Matte Foundation in Fair 05 and Fair 15. 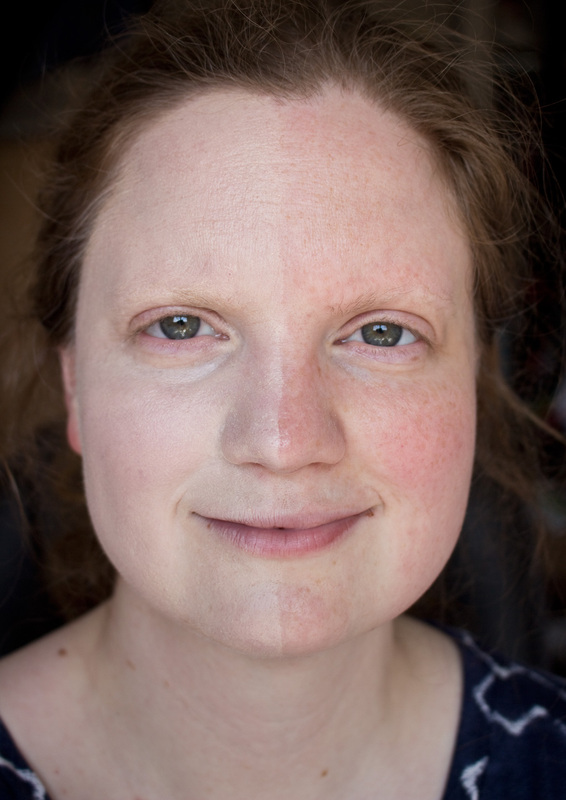 Daylight swatch: ColourPop No Filter Natural Matte Foundation in Fair 05 and Fair 15 with ColourPop No Filter Loose Setting Powder in Translucent setting the swathes. 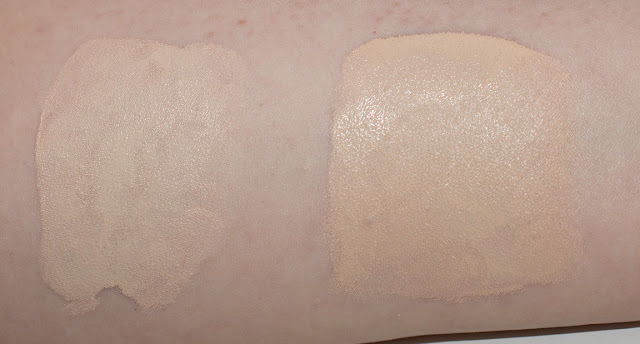 Flash swatch: ColourPop No Filter Natural Matte Foundation in Fair 05 and Fair 15 with ColourPop No Filter Loose Setting Powder in Translucent setting the swathes. ColourPop No Filter Natural Matte Foundation in Fair 05 & Fair 15, It Cosmetics Your Skin but Better CC+ foundation in Fair, Tarte Amazonian Clay Foundation in Fair Sand, and NARS Natural Radiant Longwear Foundation in Gobi. 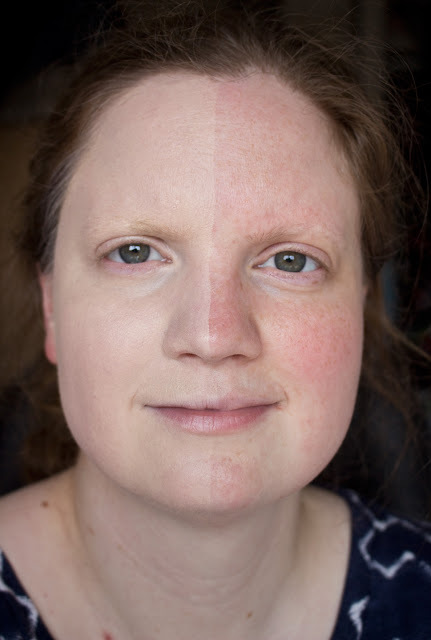 Daylight swatch: ColourPop No Filter Natural Matte Foundation in Fair 05 & Fair 15, It Cosmetics Your Skin but Better CC+ foundation in Fair, Tarte Amazonian Clay Foundation in Fair Sand, and NARS Natural Radiant Longwear Foundation in Gobi. Flash swatch: ColourPop No Filter Natural Matte Foundation in Fair 05 & Fair 15, It Cosmetics Your Skin but Better CC+ foundation in Fair, Tarte Amazonian Clay Foundation in Fair Sand, and NARS Natural Radiant Longwear Foundation in Gobi. 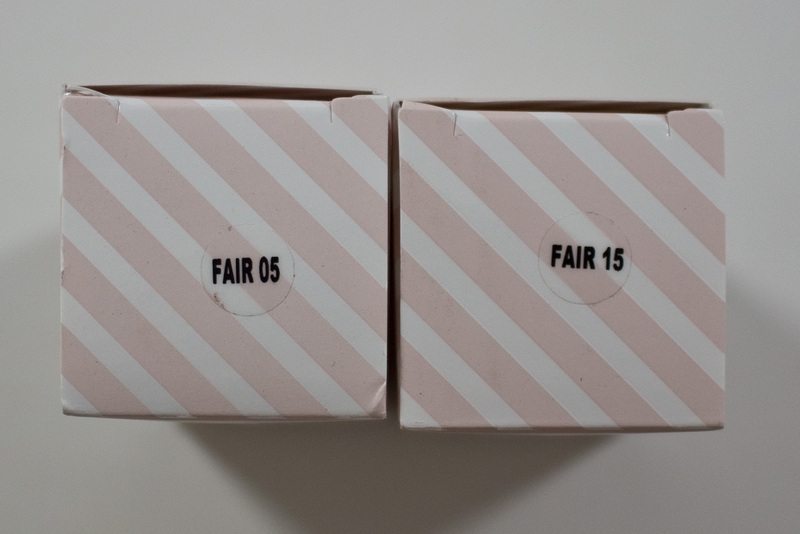 The ColourPop No Filter Natural Matte Foundation in Fair 05 & Fair 15 are much fairer and preacher compared to my current favourite foundations that run in the olive, warm orange and yellow undertones. 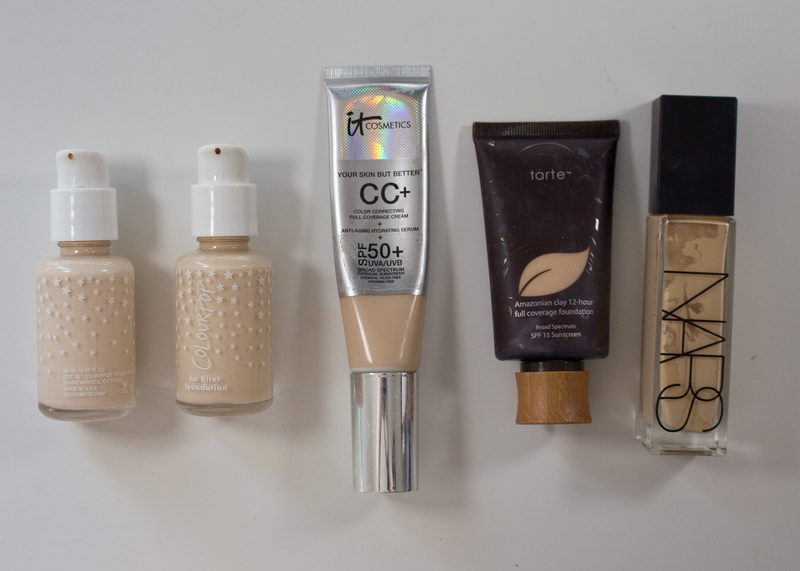 It Cosmetics Your Skin but Better CC+ foundation in Fair is more of a true neutral that leans to a more olive warm tone. 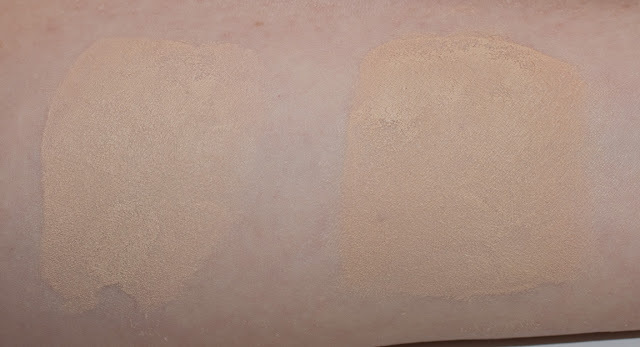 Tarte Amazonian Clay Foundation in Fair Sand seems so much more warmer/orange but it was my first foundation that I could lighten to look like my skin tone. NARS Natural Radiant Longwear Foundation in Gobi is more yellow but adding white to it give me a true olive yellow tone for me. The ColourPop No Filter Natural Matte Foundation, No Filter Concealer and No Filter Loose Setting Powder will cater more to normal to oily skin types than my dry skin. There very decent products at an amazing price point with a wide enough shade range to work for most skin tones.